Florida marriages lasting longer than sixteen (16) years may result in an award of permanent alimony if the spouses decide to divorce. 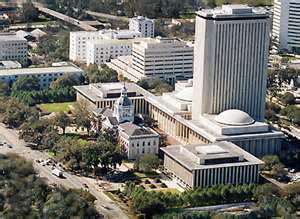 Over recent years the debate of alimony in Florida has been at the forefront of legislative session. The Florida legislature along with special interest groups and the Florida Bar have thrown their hats into the rings of discussion creating some reform with things like new parameters for determining the length of alimony. In the 2013 legislative session a new bill has been proposed that has thus far passed in the Civil Justice Committee and is making its way through the House of Representatives. Its companion, Senate Bill 718 is not ripe for voting yet. The proposed changes will drastically change the alimony present alimony provisions by making it harder for individuals to qualify for such things as permanent alimony. When determining that an imputation of income may be imposed on either party, the parties will each have a burden of showing their work history, historical earnings and contributions to the marriage. If a party has been at home for 15 years caring for the children, then it should not be expected that she/he may go into the workplace earning $100,000 per year. However, there may be an argument to whether she/he could get a job making minimum wage. Over the next few months the questions will start to be weeded out more and more as each committee studies and changes the proposed bills. There is also a question of whether such a change will impact prior cases that are due for modification or if the changes will only apply to cases filed after a certain date. Only time will tell, but the debate continues in Tallahassee and many family law attorneys and spouses will be keeping tabs on the progress. If you are going through a divorce or thinking of divorce, then it is best to understand your rights and options by speaking with an experienced family law attorney. Many times, the individuals in Florida that feel that their alimony is too high or for too long actually reached agreements outside of the Court and ultimately have to live with the consequences. In an effort to save a dollar on attorneys you may end up losing more in the end, whether you are in need of alimony or the one paying alimony.